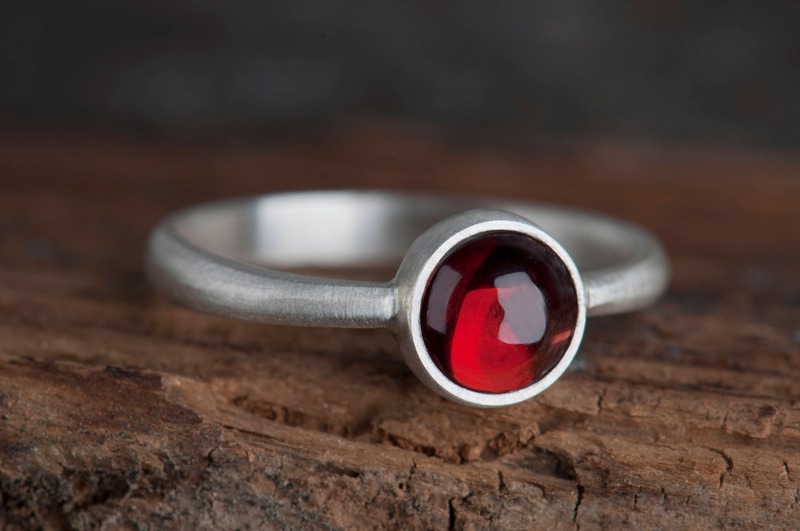 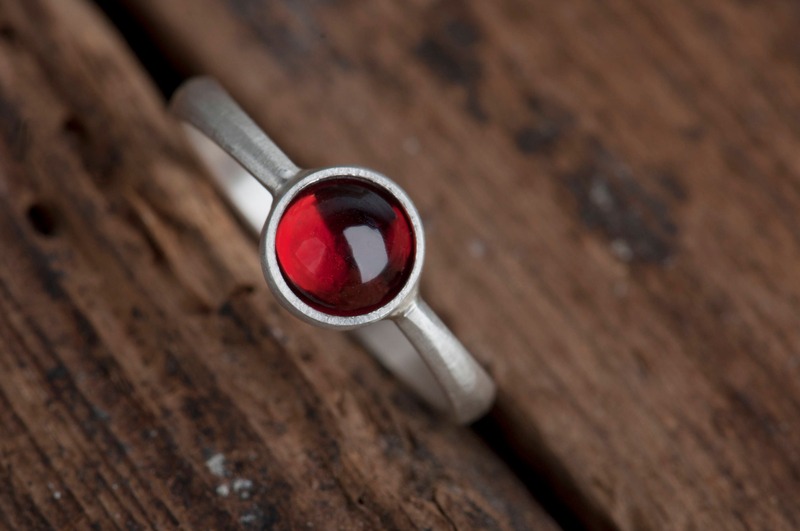 If you are searching for a jewelry gift for a woman or a girl born in January, I guess I can help you :) I offer you a subtle and simple everyday ring with January birthstone - garnet. 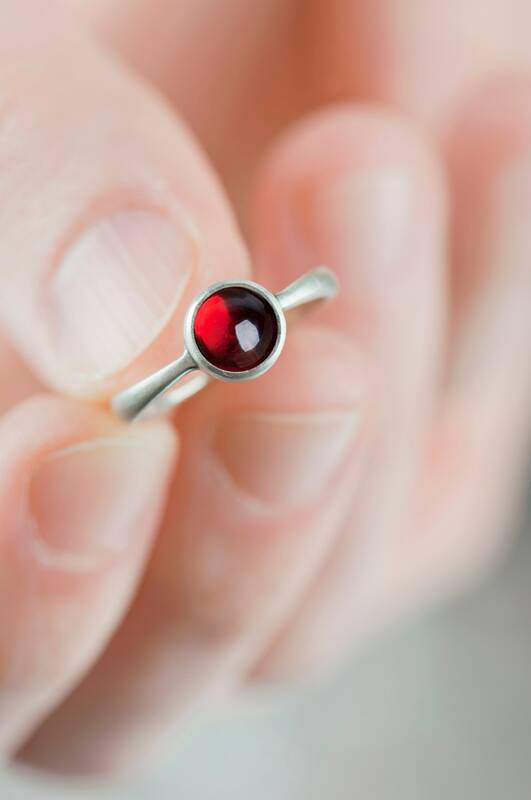 Because of it's simplicity this ring can be a everyday accessory for a woman as well as for a young girl. 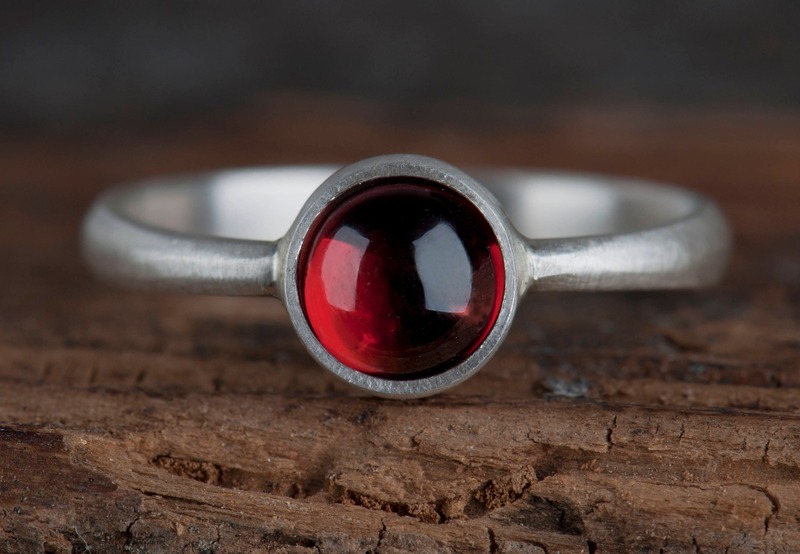 This garnet ring is comfortable to wear, has no pointy elements so it will not cling to your clothing. 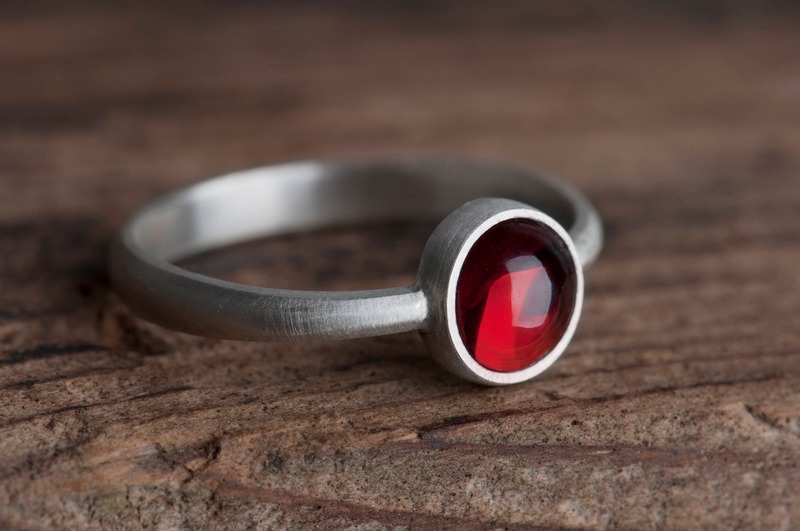 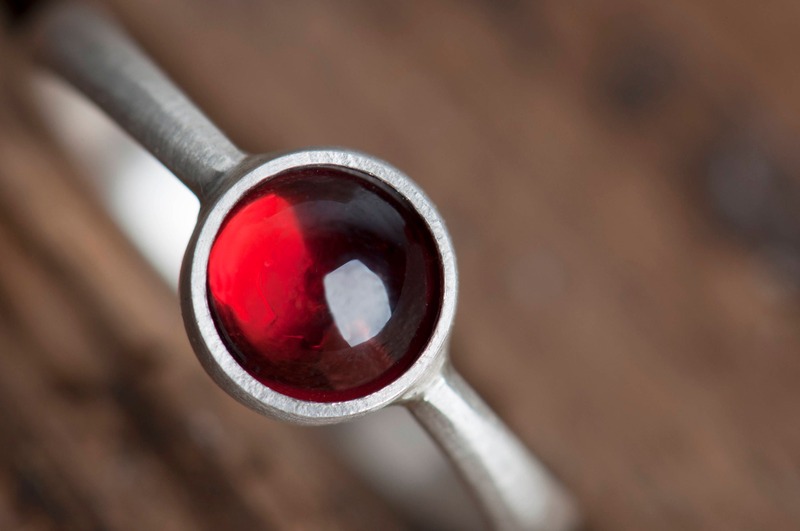 You may think that setting is too simple, but just look at this garnet - the color of the stone is so deep and intense that even with that subtle form it's eye-catching and will become a distinct detail of every outfit. 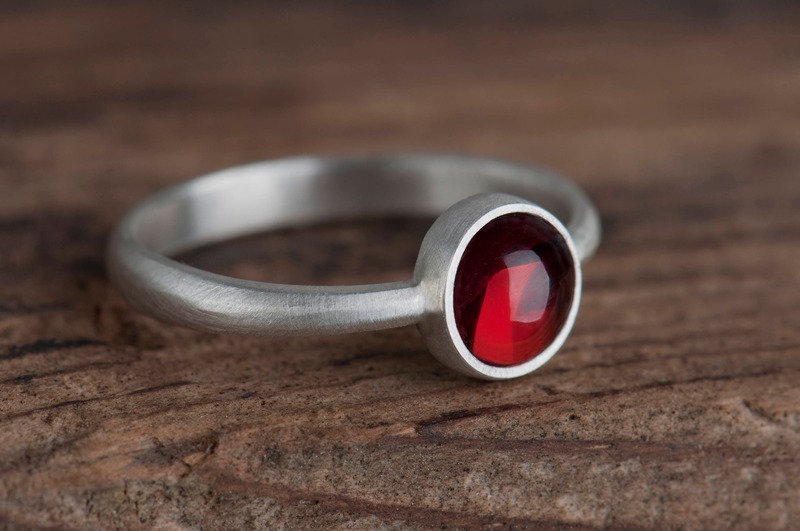 This garnet ring is handmade so I need up to 7 days to finish and ship your order. 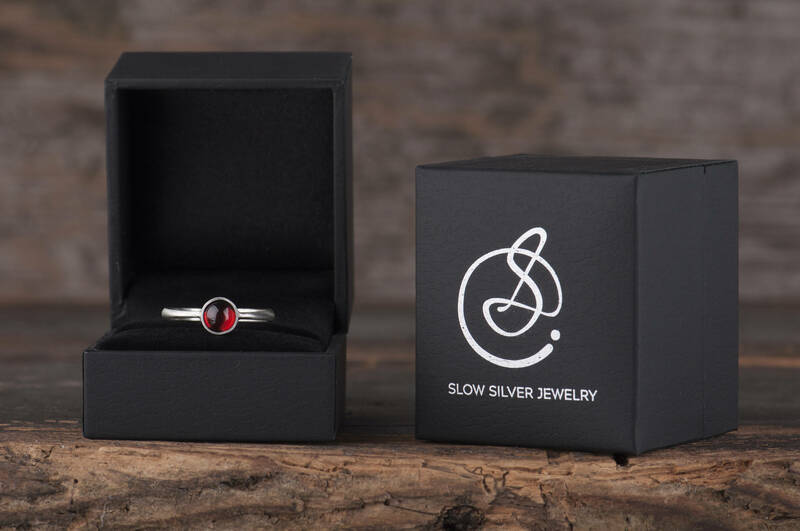 The ring will arrive in a black jewelry box which you can see on the last photo. 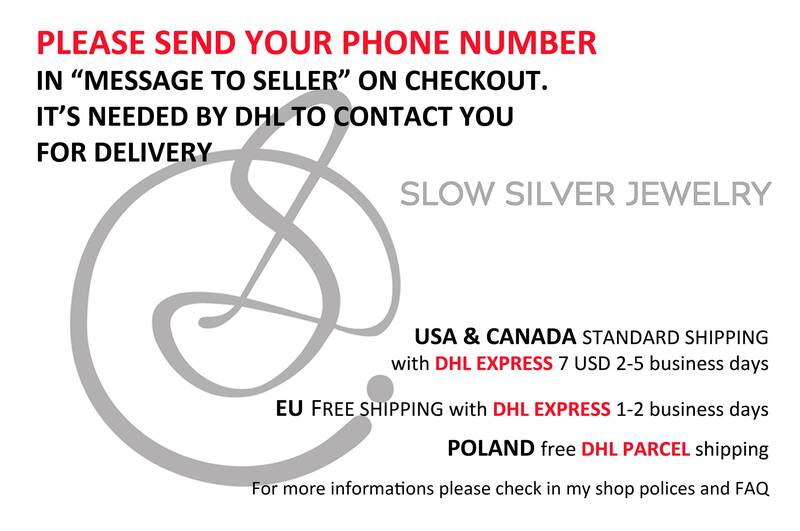 I can ship it to a third party if you wish and add a special card with a personal message from you inside the box. If you have any questions feel free to send me a message.